THE 15TH ANNUAL TRIBECA FILM FESTIVAL ENDED WITH A BANG! The 15th annual Tribeca Film Festival came to a close on April 24th but not without leaving a lasting impression on New York City. With an offering of 102 features, 74 short films, and 38 storytelling projects from over forty different countries, Tribeca had something for everyone. This year the narrative competition was split into U.S. and international categories – a festival first. Best Narrative Feature in the U.S. segment went to Dean, a story of an artist reeling from the death of his mother. The film stars Kevin Kline, Mary Steenburgen, Gillian Jacobs, and Demetri Martin who also made his directorial debut. In the international segment, the honor for Best Narrative Feature went to Junction 48. Directed by Udi Aloni, the dramatic film stars Tamer Nafar as a Palestinian rapper forging a music career while wrestling with sudden acts of violence. The noteworthy Nora Ephron Award went to Rachel Tunnard for Adult Life Skills. In the feature, Jodie Whittaker embodies Anna, a late-twenty-something who has returned to her parents’ town to take up residence in their backyard shed. The dark comedy focuses on an unlikely friendship that develops during her limbo state of living. Sponsored by Coach, the Nora Ephron Award is given to a woman who channels the legacy of the late writer and filmmaker. This is the fourth year for the award. Audience awards this year went to Here Alone for Best Narrative and The Return for Best Documentary. 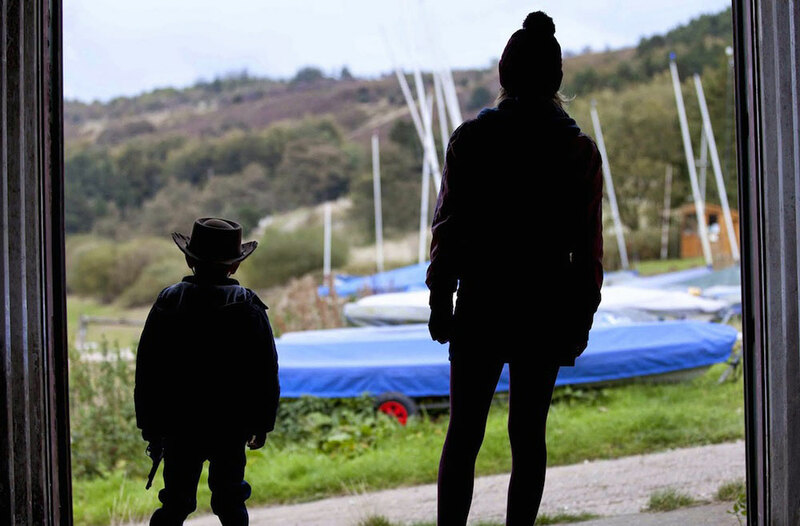 Directed by Rod Blackhurst, Here Alone is a dystopian film that sees human life wrecked by virus, with survivors constantly fearful of those who are infected. The Return follows the struggles of ex-cons as they attempt to return to normalcy after being unexpectedly released from jail due to the repeal of California’s three-strikes law. Another new element to Tribeca this year was the addition of the Tribeca X Award, a juried competition that recognizes the crossover between entertainment and advertising. The inaugural award went to Hearing Colors. Created by Greg Brunkalla for Samsung, the film follows Neil Harbisson, a colorblind man who convinces doctors to implant an instrument in his brain that lets him experience color through sound. Those festival goers who were worn out after two weeks of traipsing around Tribeca were woken up with a jolt at the closing event. The bomb was a 360 degree, fully immersive multimedia experience that forced viewers to reflect on the horrors of nuclear war by surrounding them with floor to ceiling footage that moved from idyllic images of the Earth to reversed mushroom clouds and horrific images of the aftermath of Hiroshima and Nagasaki. 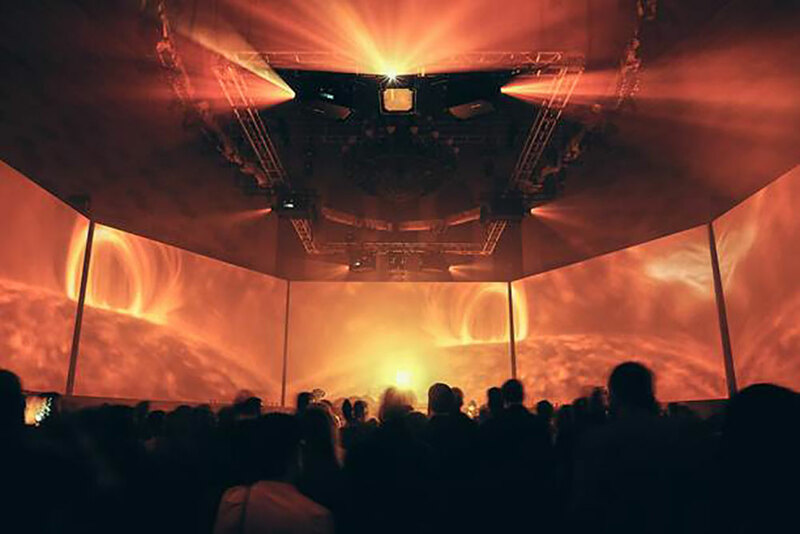 The piece was accompanied by a live musical performance by the Acid, whose score matched the 55-min film’s arc from serene satellite images to monstrous death and destruction. While the bomb was a visual feat it was its demonstrative plea to end nuclear warfare that left viewers deep in thought.